Accept Our Sacrifice, O Racing Gods! It was clear that Belvedere Adrian's '66 Plymouth Belvedere would need to have the front brakes upgraded from drums to discs if the team wanted to race at the 24 Hours of LeMons race in December. So, courtesy of a '73-76 Mopar A-body donor car, the team had the parts needed to do the swap. 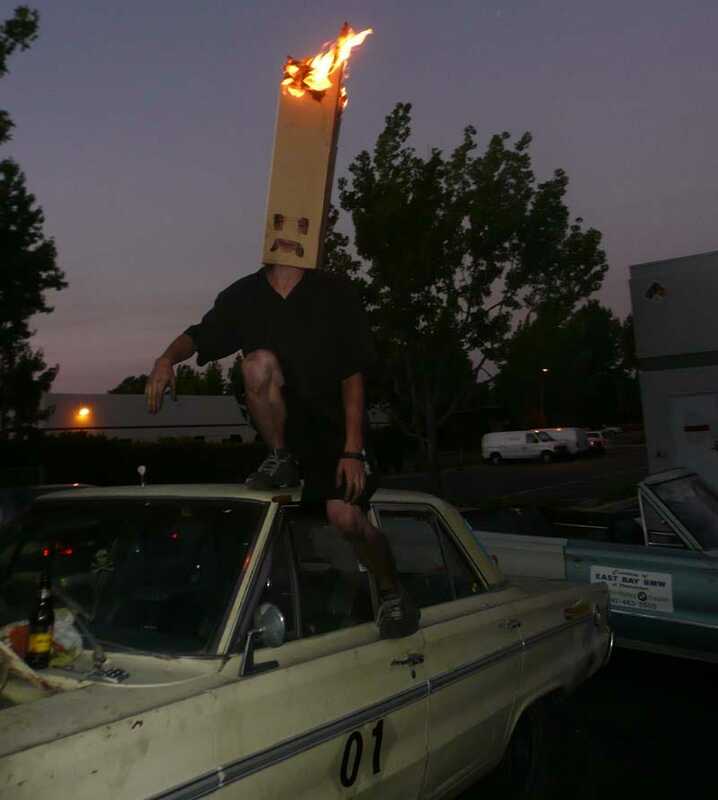 On Sunday night, after completion of the brake job (and some more straightening of bent suspension components) the ritual Burning Gasoline-Soaked Cardboard Helmet Of LeMons was placed on the youngest team member's head and ignited. Next step: swapping 318s between the race car and the Sawzall Convertible Belvedere. Belvedere Adrian Sets Sights On 24 Hours of LeMons!